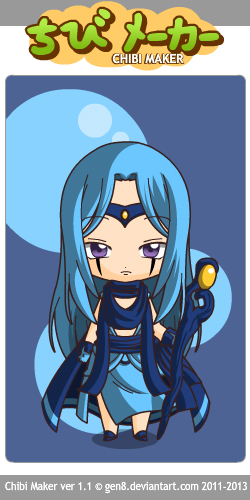 Leviathan Chibi. Leave it to him with his hair down to look like a girl. XD I got bored and had ちび Make open still from an アニメ 質問. Wallpaper and background images in the PTA and Banished club tagged: photo. This PTA and Banished fan art contains アニメ, 漫画, マンガ, and コミック.